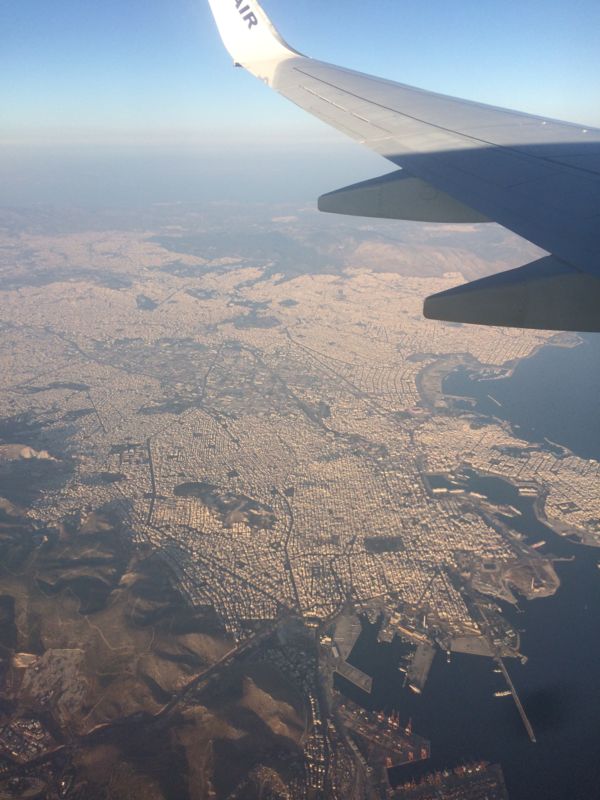 It was a very very long trip, which began on Sunday at 2 p.m. and ended on Monday at 11 pm (with a 15-hours stopover in Milan), but finally, I landed in Athens! “Athens, the eye of the Greece, mother of arts and eloquence”. Since first sight from the plane, I understood this was going to be true love: a lively city, full of life and a sense of solidarity. If I was made of Ethyl bromide C2H3Br, I would have evaporated already. Athens welcomed me with a temperature of 40 degrees. Correction, 41, and it remained this way during the whole stay! 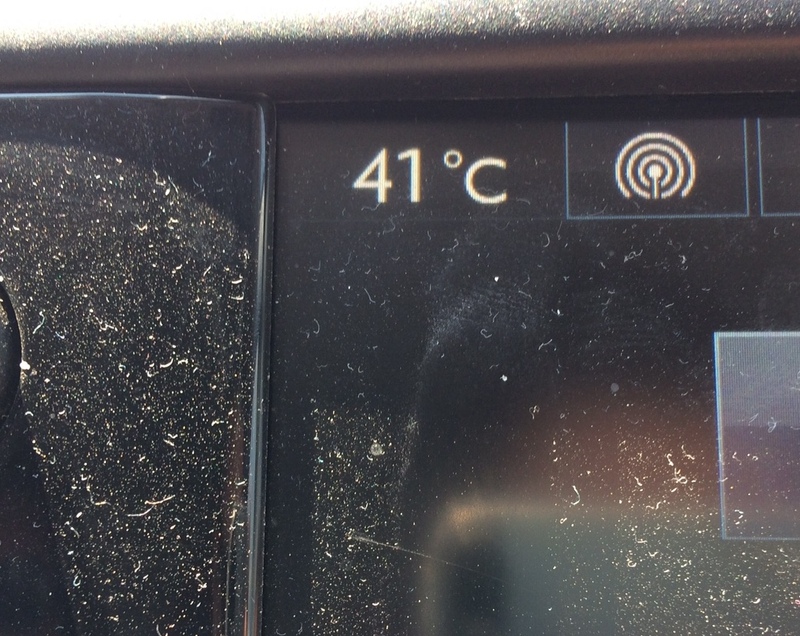 The surrounding air reminded me of the feeling I had in Death Valley (California), when the thermometer read 120 F (almost 49 C). After this first impact, things have been much better. I spent the first training-week with Dimitri and Ioannis at GRNET (Greek Research & Technology Network). GRNET is located at Ambelokipi, a central district which hosts Panathinaikos’s home ground. I familiarized myself with NetCDF (Network Common Data Form) files, which are used a lot in climate science, and learned how to access (also physically speaking – see Mahmud’s post) ARIS (Advanced Research Information System), the Greek national supercomputer system. We also spent a great time together. Ioannis and Dimitri invited me and Mahmud to a special Greek dinner, and after a walk through ancient Greek ruins, I ate the tastiest grilled mushrooms I have ever tried. I still dream about having another piece of the organic watermelon I had there: taken directly from Dimitri’s garden! 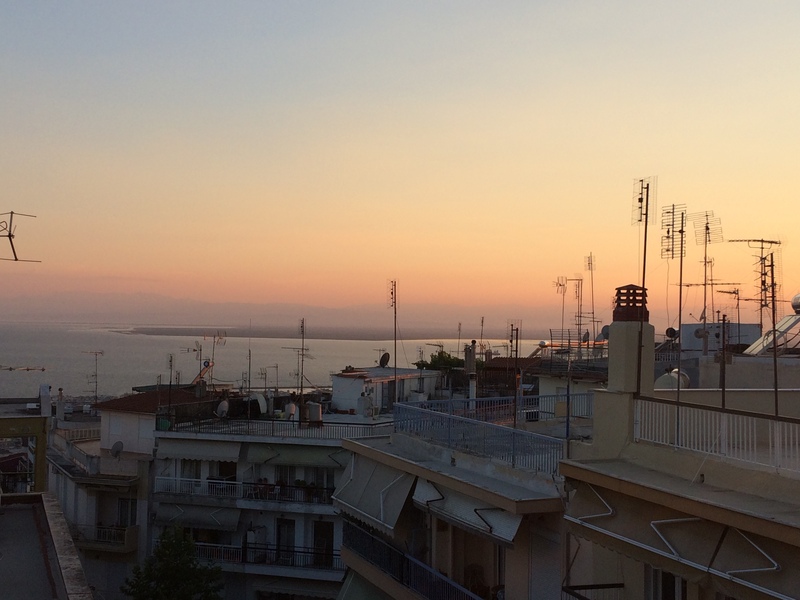 After this wonderful first week, I moved to Thessaloniki, to switch to the operational part of my project. It has been raining for the first few days, but now the sun is shining over the cultural pole of Greece. I’m revisiting the relevant literature on climatology, in order to understand which quantities are important to visualize from a physical point of view. I am very enthusiastic in deepening my knowledge on climate models, which help us understand how our climate system works and figure out possible future scenarios for our Earth.